This CD is dedicated to the Island of Helgoland (Heligoland). Already my first visit left a deep impression on me. What a unique concept: Not using the car to drive to one's destination but to leave the car - and with that a piece of mundane everyday life - behind on the mainland to travel by ship to the island. This is an "adventure" right from the start. Other islands I visited in the past never provided what I looked for in an island: An easy to take in size and "lay of the land" with a shoreline always within easy reach. Any incoming or leaving ship should be heard as well as the ever-present voices of the seabirds. All of that I found on "my island" - and so much more: hospitality, tolerance, and cosmopolitanism - what a loveable and dear mixture! At night, the lighthouse floods the vast ocean with its beacon and - like a benevolent star - serves as an orientation tool at the same time since it is visible from anywhere on the island. Here on the island I can be alone without being lonely. I can relax and recuperate and find back to my old self. Holy Island - I will always treasure you for this. This CD is available for a nominal charge of 5 EUR. Since this is not a commercial project, the charge covers only the cost of producing the CD with any remaining amount being donated to charity. From now on, all tracks of the Halunder Suite are available as original-CD-rip in MP3-format (192K) - please use the cloud link (see above) for free downloading. At present, I´m working on a new album, respecting our special experiences and impressions that we had in April 2010, when we visited Scotland with our old VW-Bus. My warm thanks to all the purchasers of the CD, who often paid more than the desired five Euro/CD. Telecast about Helgoland at winter is planned for 30 March 2008 on WDR TV: "Wunderschön - Helgoland im Winter!". Watch the part where I´m involved via my cloud link. In December edition 2007 of the magazine "Der Helgoländer", an article about the project "Halunder Suite" was released, which you can read here (german text, PDF). 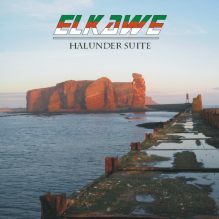 The CD can be ordered by email and is also now available on Helgoland! EUR 2.31 of each sold CD of the first edition are donated to Helgoland. The Helgoland Youth Center is the intended recipient. At which places on Helgoland is the CD available? 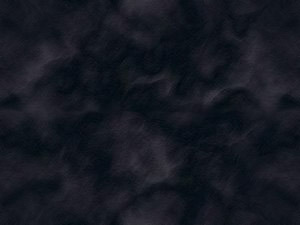 Once all produced CDs have been sold, the titles will be available as MP3 files for download (free) from this Website. The versions currently downloadable from MoM are in part not the final versions as they are included on the CD and not all titles are listed. And some versions are only "drafts" and not the completed CD mix! Please use the contact address on the start page for your order (EUR 5.00 + postage)! Please indicate if you wish to receive a signed version ... THANKS!